The tranquil island of Puerto Rico (Spanish for Rich Port) in the Caribbean Sea is home to endless beaches, lively nightlife, a thriving art scene, hospitable people and delicious local cuisine. Locally, Puerto Rican cuisine is known as cocina criolla, which translates to Creole cooking or Caribbean cooking. 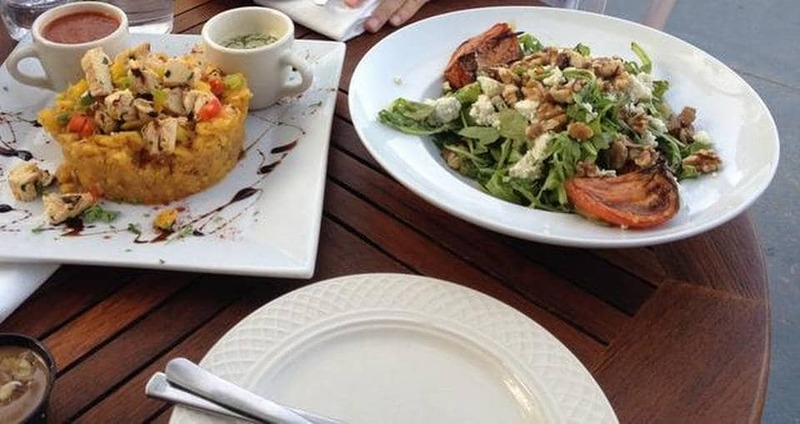 Puerto Rican food is heavily influenced by the cooking traditions of Spain, the United States and the native Taínos. As you wander through the islands rambling lanes, you will stumble onto vibrant street fairs, food markets, shacks and sophisticated restaurants serving vibrant flavours of generations past. Other common breakfast items include plátanos maduros (sweet plantains with spices, served with eggs) and tortilla de huevos(omelette with tomatoes, cilantro, onions, peppers, garlic and cheese). Breakfast in Puerto Rico is not complete without a cup of smooth and rich home-grown coffee. Mallorca: This pastry, along with local coffee, is the staple breakfast of Puerto Ricans. Mallorca, a Puerto Rican croissant or brioche, is a moist, melt-in-your-mouth, twisted bun. A crunchy-bronzed outside reveals flaky, layers within, and the whiff of butter rises as you bite into it — a Mallorca is a thing of beauty. It is served at almost every Puerto Rican eatery, from hole-in-the-wall shops to some of the islands most refined restaurants. Usually, a mallorca is sliced and pressed between hot steel griddles, and is served with powdered sugar, or with eggs, ham and cheese. Arroz con leche: This traditional Puerto Rican breakfast dish literally means, rice with milk or milk rice. This creamy, sweet and appetising breakfast dessert is eaten through the year in Puerto Rico, and is particularly served during Christmas, the holiday season and on special occasions. Arroz con lecheis a lip-smacking, coconut-milk sticky rice pudding, cooked with raisins, and spices, such as cinnamon sticks, nutmeg, fresh ginger and cloves. This tasty breakfast dessert is garnished with fresh coconut flakes, cinnamon powder and raisins. Another variant of arroz con leche is made with orange extract and dried cranberries instead of raisins.